The concept of a woman in rock music is beautiful. 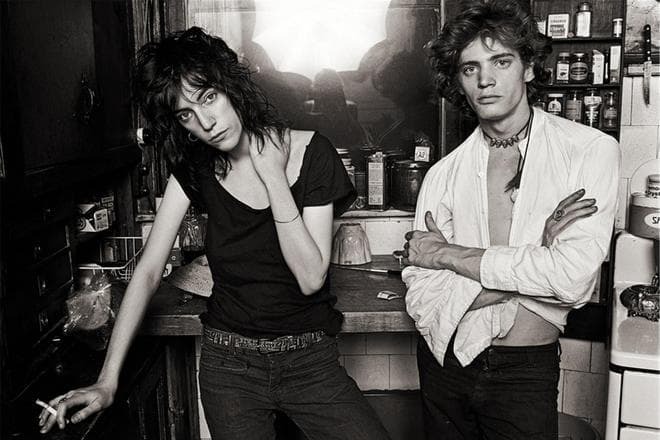 However, Patti Smith is more than that: her figure and art personify the punk culture; she is the icon of the genre. 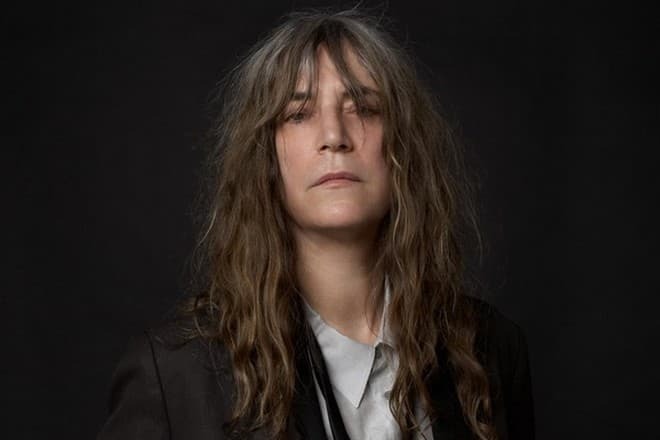 Patti Smith is a strong, talented, and fascinating singer with an interesting life story. 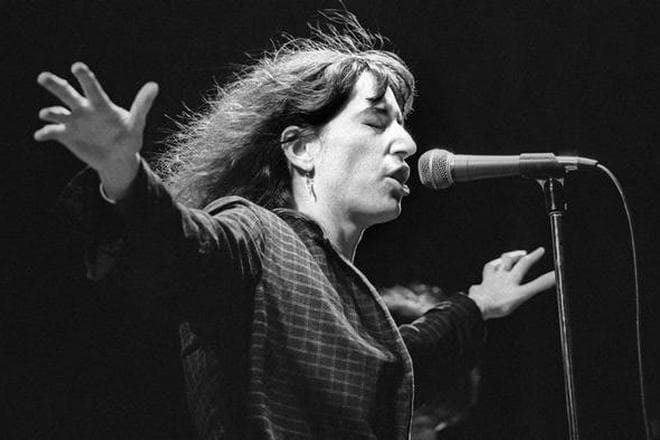 Patricia Lee Smith was born on December 30, 1946, in Chicago. The mother, Beverly Smith, worked as a singer and waitress; her daughter inherited the musical and vocal talent. The father, Grant Smith, belonged to the working class and worked at a factory. Patti had three siblings. The family lived in Chicago until 1949; later, they moved to Woodbury, Philadelphia. The singer admits her school years were challenging: she had no mutual understanding with her peers. For this reason, the girl preferred reading books and listening to music. Arthur Rimbaud was Patti’s favorite poet, and Jimi Hendrix was her favorite musician. The young woman took an interest in the beatnik culture and eagerly studied its literature. 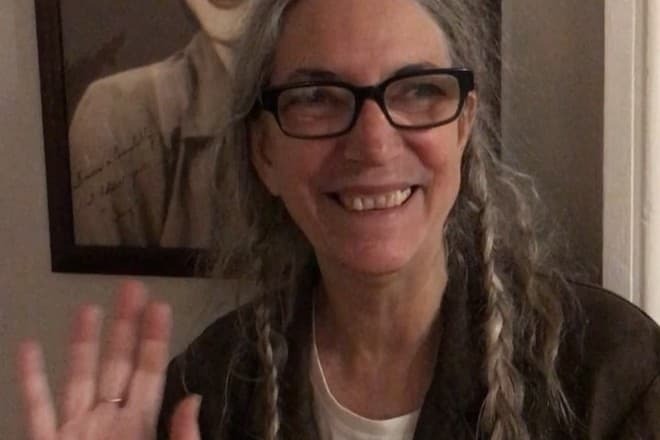 As Patti Smith graduated from school, she entered the Glassboro State College, yet it did not work out: she was pregnant. When the child was born, Patti gave her up for adoption. The young woman had other plans: to find a job, collect some money, and conquer New York. She managed to achieve her goal in 1967. The future singer found a job in a bookstore; she met Robert Mapplethorpe there. Despite the fact the photographer was gay, they had a romance. In several years, Patti moved to Paris and spent there two years; she earned her living by performances and studied visual art there. When Smith returned to New York, she continued to live with Mapplethorpe. At the same time, she was building her playwright and poetry career: Patti participated in Sam Shepard’s plays and worked on poems. This is where the fateful event took place: the woman met Lenny Kaye. They talked about music and decided to organize their own project. Patti was reciting poetry, and Lenny was playing the guitar. The duo turned out to be successful. Little by little, the duo was improving its position. Smith and Kaye used to collaborate with guest keyboard players. In spring 1974, Richard Sohl joined the group. The trio worked on covers and finally had their first song “Electric Lady” released; Rob Mapplethorpe helped them. Patti also invited the second guitar player, Tom Verlaine whom she was dating at that time. The group was growing gradually. After several successful concerts, the bass guitar player Ivan Kral joined them; in February 1975, Jay Dee Daugherty became the group’s drummer. The same year, the debuting album Horses came out. The audience welcomed the work enthusiastically; there were two tours in the USA and Europe. The next year, the second album Radio Ethiopia was released; its sounding was tougher than in the first album. In 1977, Patti Smith fell off the stage and had two vertebras broken. She left music for a year and used the career break to create a new poem collection Babel. When she came back to the stage, she recorded the third album Easter. 1979 was marked with many events. Patti Smith had the new album Wave released. The song “Because the Night” was the head song, and “Dancing Barefoot” was included in the top greatest songs in 2004. The woman also met Frederick Smith who was a guitar player in МС5. They started dating soon; Patti devoted the song “Frederick” to him. Soon, the group had to face a difficult period. The interest to the punk subculture faded away; in 1980, the group split up. Patti Smith disappeared until 1996. 16 years later, the woman came from Detroit to New York where she began to recite poetry again. She also decided to reunite Patti Smith Group. Before that, Patti and Bob Dylan had a tour together. Oliver Ray replaced deceased Richard Sohl. Together with Jeff Buckley, the group recorded two albums, Gone Again and Peace and Noise. They were pretty different: the former was radiated optimism while the latter expressed the emotions related to William S. Burroughs’s and Allen Ginsberg’s deaths. In 2006, the club CBGB was closed: people who lived nearby suddenly claimed that music was disturbing them. 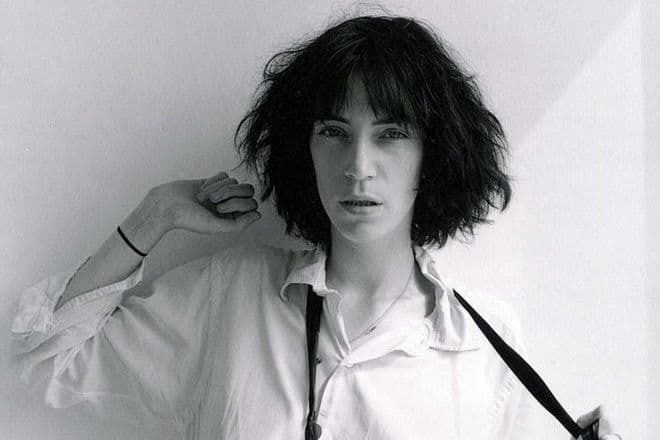 Patti Smith began as a singer at that club. Patti Smith Group had a three-hour concert there. On March 12, 2007, the woman was inducted into the Rock and Roll Hall of Fame; she devoted the award to her husband. The name of the first child who was born during Patti’s college years is unknown. 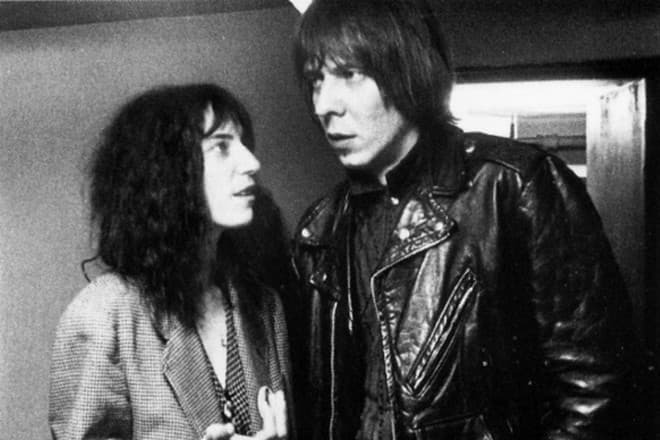 Fred "Sonic" Smith was the woman’s great love. The couple married on March 1, 1980. Fred and Patti were creating together, but their songs were not intended to the broad audience. Everything was good in the family: the close connections, two children. Suddenly, Fred died of heart failure; it happened in 1994. The singer suffered from many losses: Richard Sohl, Robert Mapplethorpe, the husband Frederick Smith, and the younger brother Todd. It took Patti two years to recover and begin to live again; for this reason, the singer came back to the stage. Patti expressed her personal feelings in different forms. In 2008, the biographical movie Patti Smith: Dream of Life was released. In 2010, the book Just Kids devoted to Mapplethorpe was published. In 2011, Smith started the book M Train; the memoirs were released five years later. In 2018, the singer performs with her group. Today, fans are watching their favorite maintain her Instagram page: for several months, the woman was taking pictures. Smith says she likes to learn modern technologies independently. The singer often posts videos on her page: working on songs, congratulations to her friends and close people, and domestic problems struggle.